Diane Bailey (left) and Lewine Mair. FROM Association of Golf Writers secretary BERNIE McQUIRE'S report from the annual meeting of the AGW at the Open Championship. I received an email from Diane Bailey, thanking the AGW in recognising the LGUs 124-year devotion to promoting women's golf. I would like to thank you and the Association of Golf Writers for so kindly inviting me to your Annual Dinner, which I thoroughly enjoyed. 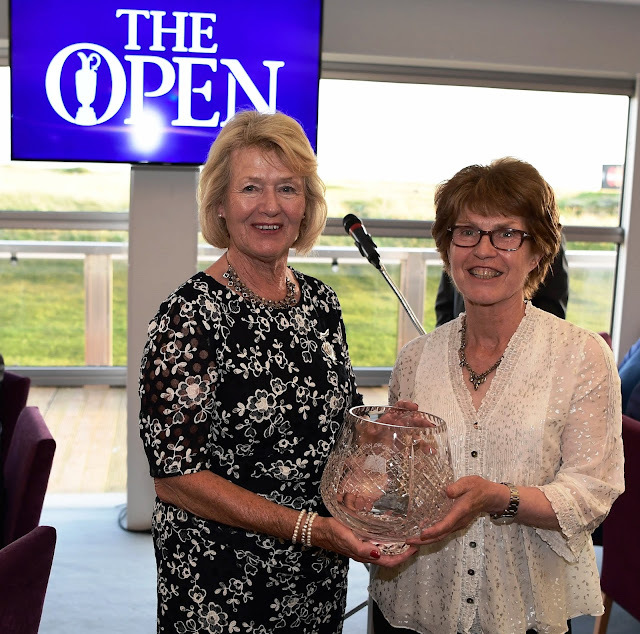 Thank you too for the magnificent crystal bowl that you have awarded to the Ladies' Golf Union. It is now back at St Andrews, where it will be proudly displayed. At such an historic time we are delighted to have been recognised in this way for all the work of many generations in promoting Women's Golf. We will work closely with the R and A to continue that legacy.